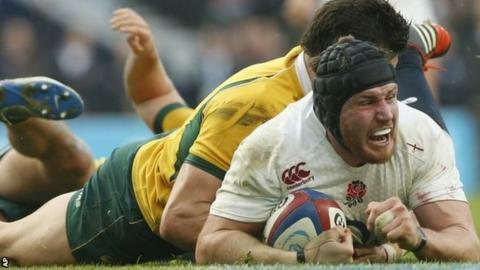 England's Ben Morgan is likely to have recovered from a fractured leg in time to play at the World Cup, according to ex-captain Lawrence Dallaglio. The number eight, 25, was carried off on a stretcher when playing for Gloucester against Saracens on Friday. Dallaglio, who captained England between 1997 and 1999 and in 2004, added: "He is going to miss a lot of rugby, which is unfortunate. England's headache: Who can replace Morgan? Read more on England's headache: Who can replace Morgan?